Chinese New Year festivities begin on 16 February in Chinese communities around the world. Musement takes a look at some different ways the Year of the Dog will be celebrated. The Spring Festival celebrations, known in the West as Chinese New Year, begin on 16 February. 2018 is the Year of the Dog, a sign of the Chinese horoscope characterized by a loyal and sincere personality. But how is this festival celebrated in China and in the rest of the world? What are the origins and characteristics of this party? A legendary color – red! – plays an important part in the origins of this holiday, It’s said that in ancient times, a terrible monster, the Nian, emerged from its lair to feed on humans every 12 months. However, when the Chinese people discovered that loud noises and the color red frightened the Nian, they started to greet its awakening with songs, dance, fireworks and red decorations to escape the slaughter. This legend gave birth to one of the most important Chinese New Year traditions: The lion-headed dragon parade. 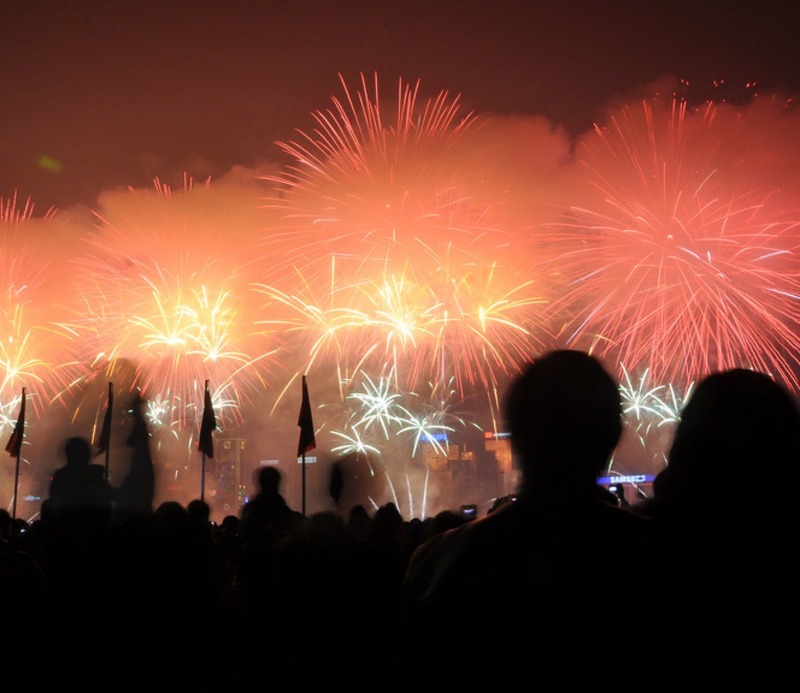 Here’s a look at how different countries around the world celebrate. Before the start of the New Year, people go to pray in local Taoist temples and they thoroughly clean their homes – a ritual symbolizing the discarding of the old year’s misfortunes in preparation for a new start. On New Year’s Eve, a lavish banquet reunites the family around a table full of traditional treats. Different generations sit together, from grandparents to newborn grandchildren. 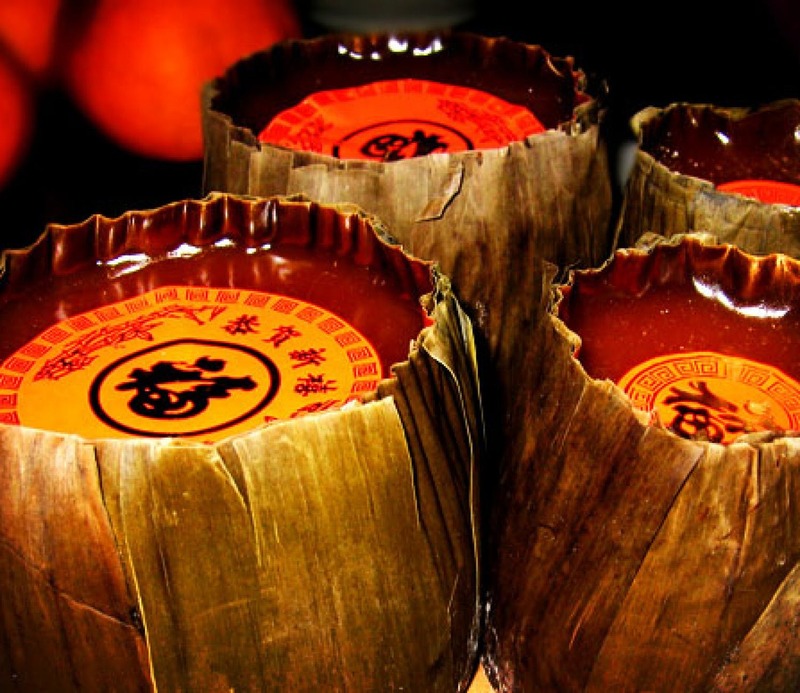 One of the dinner’s highlights is the Nian Gao, the New Year cake made of sweet, glutinous rice with sugar, lotus leaves, Chinese dates and nuts (depending on the region). It’s considered a good omen because, in Chinese, the sound of its name is similar to the words meaning “Best Year.” The first day of the new year is celebrated with the Dragon dance while the dead are honored with candles, incense and prayers on the second day, which is also when married women visit their families. The God of Wealth is celebrated on the fifth day and a lantern festival on the fifteenth day marks the end of the festivities. Each city in China has its own special way to welcome the new year. In Hong Kong, celebrations begin with a colorful parade in the Tsim Sha Tsui district and continue with a spectacular fireworks display in Victoria Harbor. A variety of fragrant flowers adorn the city to symbolize different wishes for the forthcoming year. In Beijing, the real parties are held in temples, which host actual fairs that involve tourists and locals in dance and traditional music, acrobatic performances, stalls selling local crafts, and traditional food stands. Don’t miss the reenactments of ceremonies that back to China’s Imperial era, such as the one in the honor of Heaven and Earth. Shanghai is the capital of China’s nightlife, and celebrations sparkle here during the New Year. You can attend concerts and theatrical performances, enjoy dinner in high-class restaurants and take part in glamorous parties held in the trendiest clubs. While partying dominates the dance-floors, the devout ring the temple’s bells to attract luck and prosperity in the coming year. Meanwhile, on the Jian Chang river, a spectacular countdown to greet the new year commences. The Lunar New Year Parade takes place in New York City‘s Chinatown quarter, starting on Mott Street and turning onto Canal Street, continuing on East Broadway and finishing at Broome Street. On 20 February, the New York Philharmonic celebrates the Year of the Dog with the Lunar New Year Concert and Gala on 20 February. Master Long Yu will conduct the Farmers’ Chorus of the Yunnan Province, a mountainous area in southern China. The chorus, together with young pianist Serena Wang, will perform Beethoven. 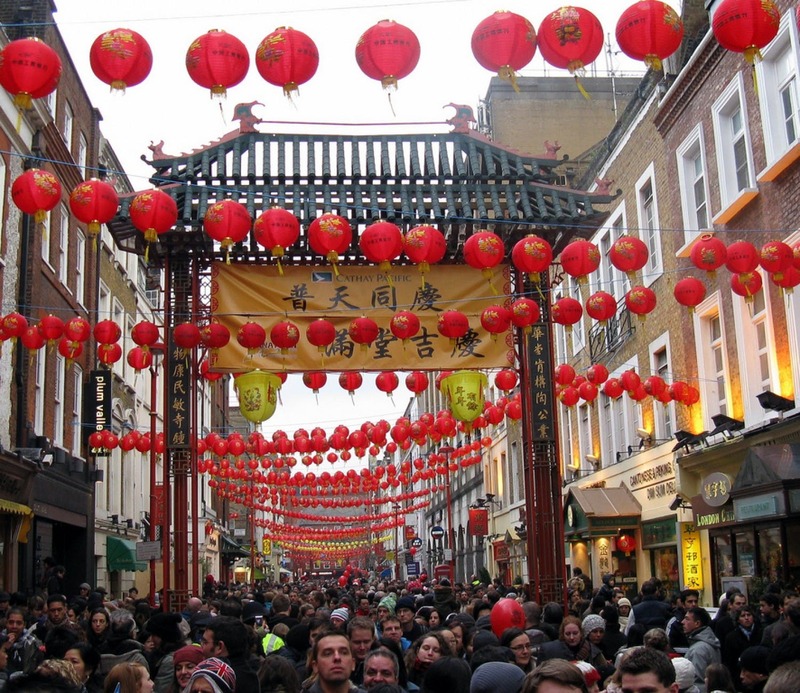 The Soho district is the beating heart of London‘s Chinese New Year’s Eve with traditional exhibitions, culinary specialties, dragons and fireworks. This year the parade will take place on 18 February on Charing Cross Road and Shaftesbury Avenue, where a stage will host some themed entertainment. The parade ends at Trafalgar Square with a fireworks show. Finally, Milan holds two major Chinese New Year events: the Parade of the Golden Dragon on Via Paolo Sarpi, the heart of Chinatown, and an artistic event at the Teatro dal Verme taking place on Friday, 9 February. To kick off the Year of the Dog, Italian artists such as Eugenio Finardi and Francesco Baccini will perform on stage at the Teatro dal Verme. and there will be many guests including the Chinese actress and TV host Ni Ping, who has hosted the Chinese New Year festival for China’s CCTV for 13 years. If you’re welcoming the Year of the Dog in one of these cities, don’t forget to wear something red to ward off the Nian. As the Chinese say: 新年快乐(xīn nián kuài lè – Happy New Year)!